In order to earn a state license, a residential electrician must acquire the necessary training, the hours of practice and be tested on state electrical safety codes (which are updated frequently). A good licensed electrician has put in the time and effort necessary to train and earn these certifications and keeps the license current with ongoing training on a regular basis. An unlicensed electrician may be cheaper, but if they do work in your home that is not up to current Virginia state electrical code, you are running both safety and insurance risks that you simply can’t afford. The licensing process requires evaluation of the electrician’s work, to ensure that it is consistently up-to-safety specifications. If you DIY your own electrical work, or have a buddy come in and do it (and they’re unlicensed), you can’t be sure that you’ve dotted all your i’s and crossed all of your t’s in the safety and quality department on any work done in your home. Your home, your life, your family’s lives are all too important to risk on unlicensed work. Your homeowner’s insurance policy very likely requires that any electrical work done on your home be done by a licensed electrician—going DIY or unlicensed may invalidate your policy. If the electrical work then causes a fire or other hazard, your insurance company may not pay what you think they should, if anything at all. 4. Selling Your Home? Need a Home Inspection? If you are selling your home, you will need to have a home inspection done. During that time, the inspector will check to see that all of your electrical work is up to current Virginia state electrical codes. You can’t guarantee that will be the case if you do it yourself or have an unlicensed electrician do the work. It may seem cheaper up front to do your own electrical work, or have a cheaper, unlicensed electrician come in and do it, but in the long run, it just isn’t worth it. If poor quality electrical work causes an electrical fire or electrocution hazard, life and property are at risk. At the very least, the switches or lights won’t work the way you want them to and you’ll just have to hire a licensed electrician to get it fixed anyway. Do it right the first time and protect your family and your home! 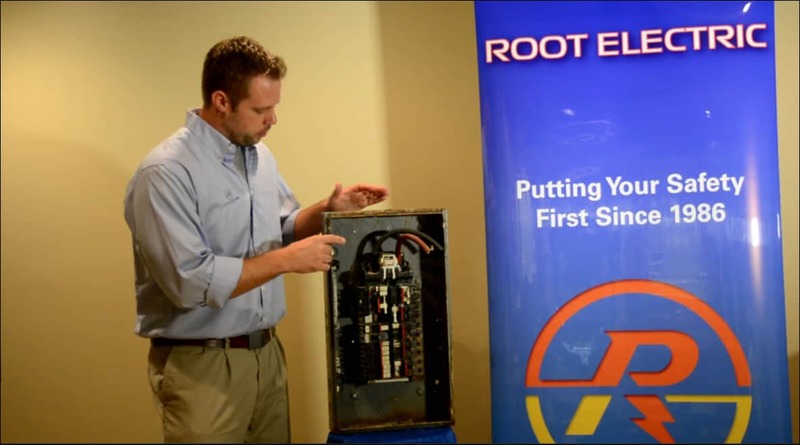 Root Electric’s residential electricians are licensed, bonded and insured. We update our training and stay current on the latest electrical codes all the time. Because your safety and doing top-quality work have always been our top priorities, we have received numerous awards over the years. Most importantly to us—we are keeping our customers safe and happy.